Joshua Becker and his young family were introduced to minimalism six years ago during a short conversation with their neighbor. 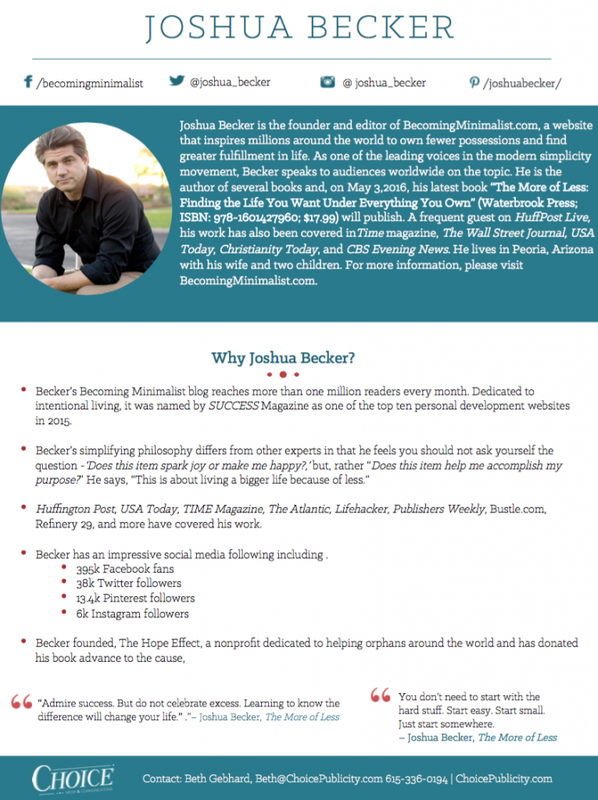 Since then, Becker’s story and writing have inspired millions around the world to find more life by owning fewer possessions. 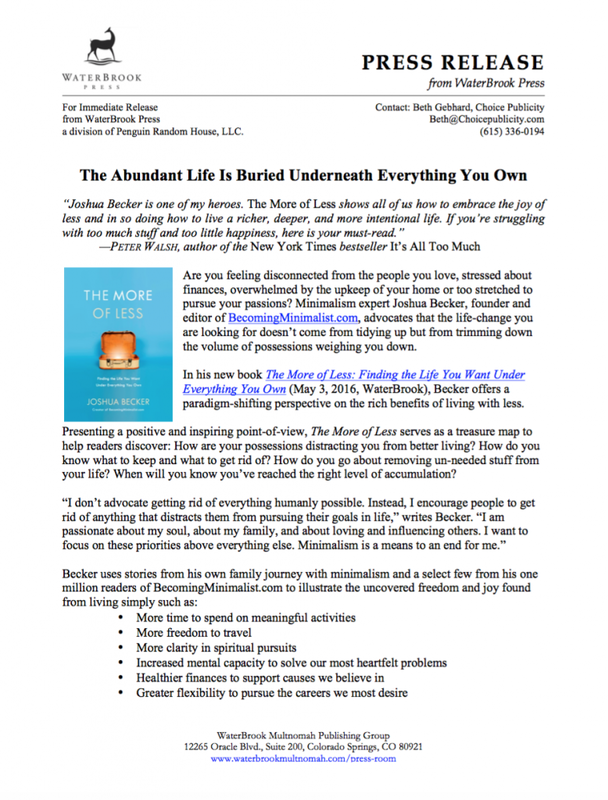 Today, based on his thoughtful and intentional approach to minimalism, he is one of the leading voices in the modern simplicity movement, reaching more than one million readers every month. 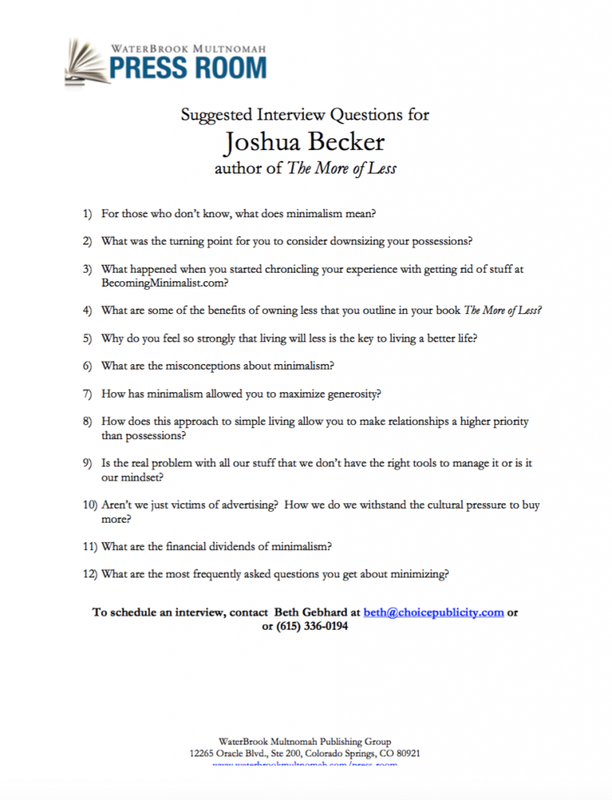 Becker is the founder and editor of Becoming Minimalist, a website dedicated to intentional living that was named by SUCCESS Magazine as one of the top ten personal development websites in 2015. 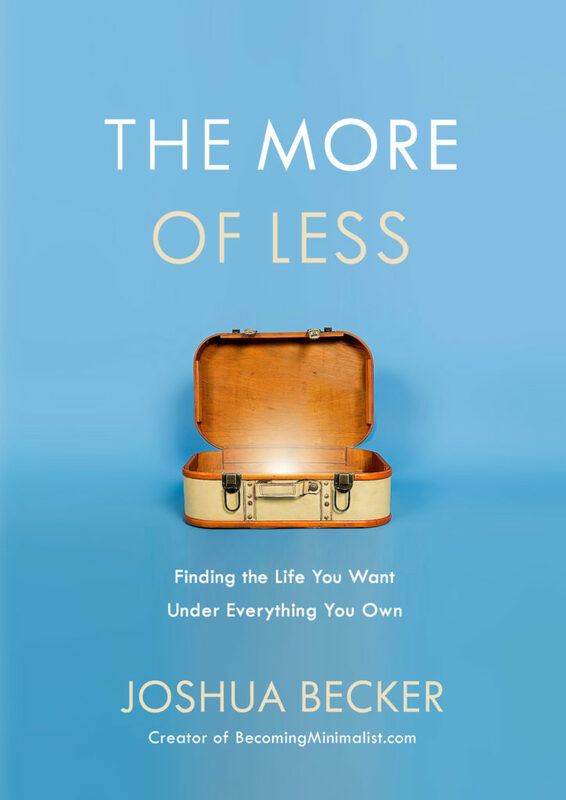 In his latest book, The More of Less: Finding the Life You Want Under Everything You Own (WaterBrook, May 3, 2016), Becker shares the rich benefits that any person can experience through owning less. 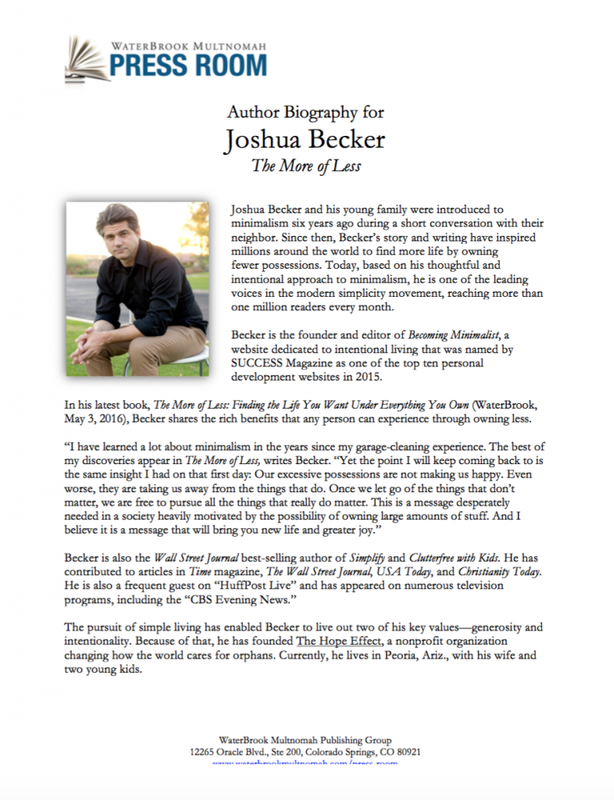 The pursuit of simple living has enabled Becker to live out two of his key values—generosity and intentionality. 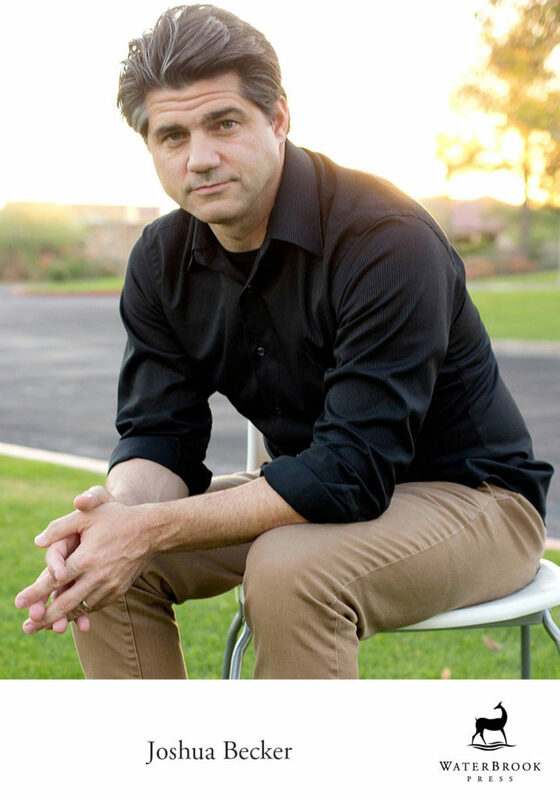 Because of that, he has founded The Hope Effect, a nonprofit organization changing how the world cares for orphans. Currently, he lives in Peoria, Ariz., with his wife and two young kids. Why Have You Chosen to Be So Busy?